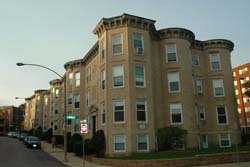 Fineberg manages four attached apartment addresses on Mount Hood Road in Brighton, a block from Commonwealth Avenue and two blocks from Washington Street. 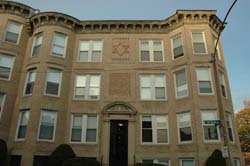 The three-floor building has six units per entrance. 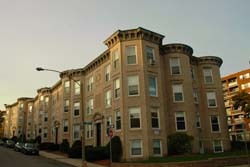 All the units have three bedrooms with attractive bay living room windows. 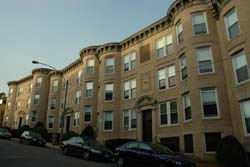 Some units have rear porches, and limited on-premise parking is available. The convenient location is literally around the corner from fine shopping, excellent public transport and fine dining. The area has a distinctly international flavor.